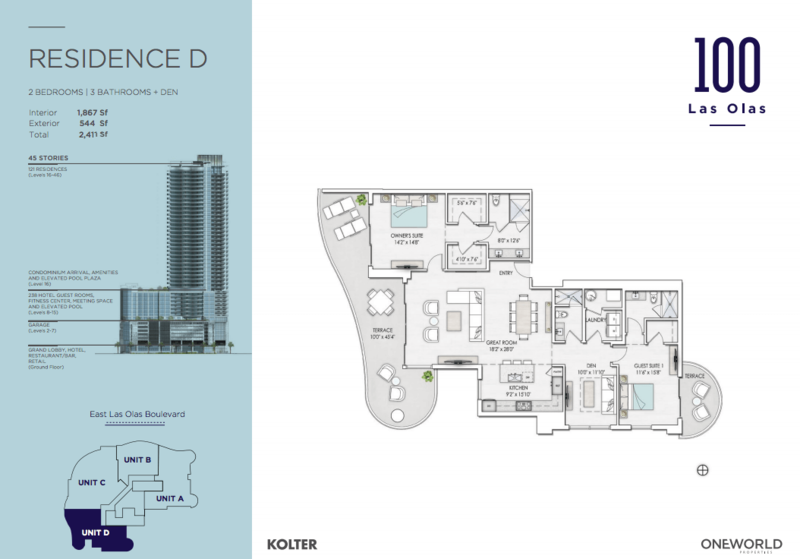 100 Las Olas in Fort Lauderdale is the gold standard for vibrant city luxury residences. 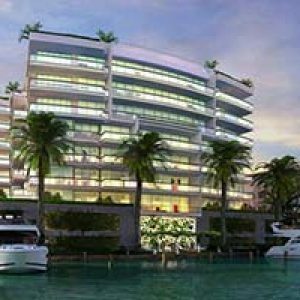 Currently under construction, the 100 Las Olas is an entire resort complex in itself, not to mention being in Fort Lauderdale’s tallest building. This 45-story architectural masterpiece will be the hottest place to live in Fort Lauderdale located right at 200 E. Las Olas Blvd. and home to 121 units. 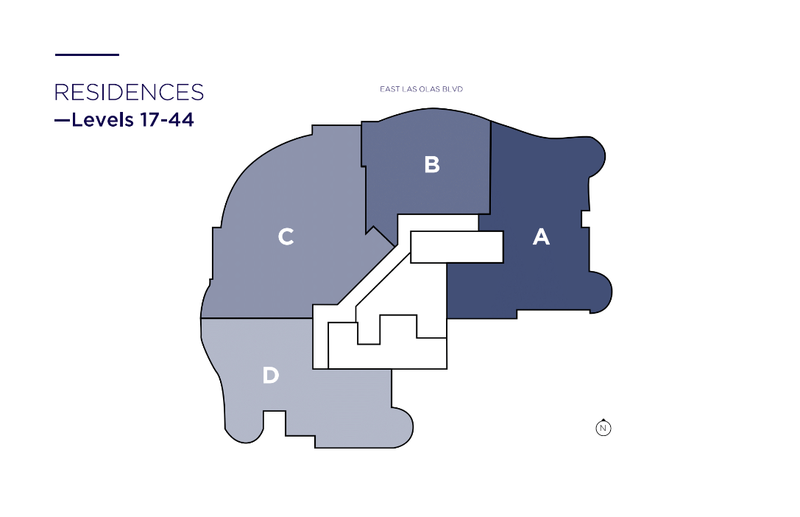 Two and three bedroom units are now available for purchase and range in size from 1,501 square feet to 2,964 square feet. The project is scheduled to be completed in fall 2019 and pricing is indeterminate at the moment. Every residence at 100 Las Olas the very best in cutting edge interior design and amenities. Balconies with glass and aluminum railings provide stunning panoramic views. Floor-to-ceiling windows extend these vistas inside of every unit, and complement the modern design and flow-through layout of each residence. 100 Las Olas is also capable of handling the latest in technology and is pre-wired for cable, DSL, and smart-home appliance control technology. All residents will be able to choose from a number of pre-selected design schemes all with the very latest in modern interior design. Every kitchen is equipped with Nolte European Cabinets and Quartz countertops and bathrooms with state of the art vanities. 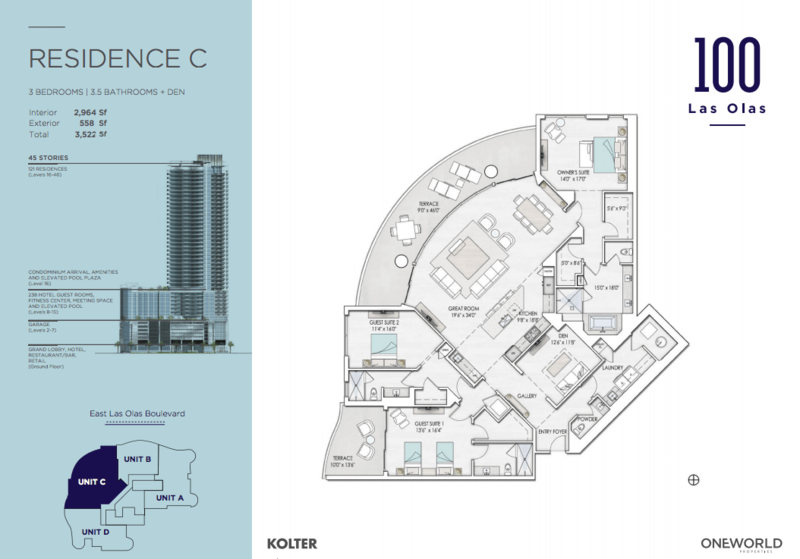 In addition to the world class residences at 100 Las Olas, all residents can enjoy a 24/7 manned security lobby. Rest assured your vehicle is safe, with Valet and self-parking options for all full time residents.Work out in the multi-floor state of the art fitness center with elevated private pool. Look out over the city from its highest point on the observation deck. 100 Las Olas will also be home to CLUB 100, a large social club with a private bar and outdoor plaza, sure to be one of Fort Lauderdale’s hottest new entertainment venues. 100 Las Olas has plenty of retail space in the ground floor, and direct access to the dining, shopping, and nightlife of Las Olas Boulevard. You’ll also be just a short ride from John U. Lloyd Beach Park, Holliday Park, and The Galleria shops. 100 Las Olas offers unparalleled luxury in the heart of Fort Lauderdale, and easy access to US-1 and I-95, a quick shot to other bustling areas of South Florida. If you are looking for established luxury and prestige along Las Olas Boulevard, look no further than 100 Las Olas. 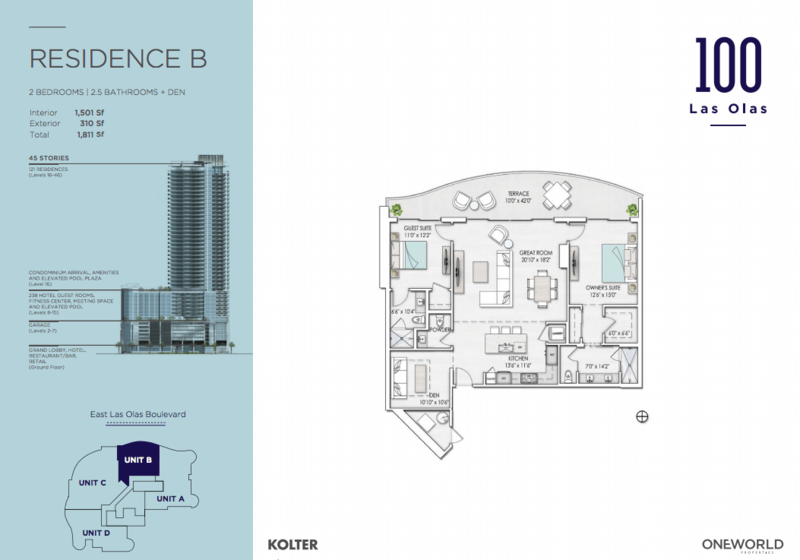 Be a part of the premier building in Fort Lauderdale in one of its premier neighborhoods.